In the final two weeks of 2015, two journalists were arrested, five freed bloggers threatened with renewed terrorism charges and at least 50 protesters killed. In other words, it was just another fortnight in Ethiopia under Anti-Terrorism Proclamation No.652/2009. Ethiopia gained international attention in April 2014 when the six Zone 9 bloggers, along with three journalists, were arrested for “terrorism”. 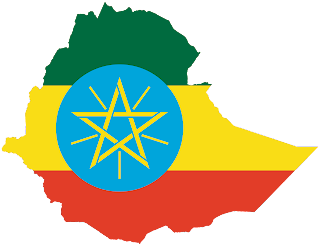 Their crimes were publishing information about Ethiopia’s human rights violations, working to prevent censorship and actively promoting constitutional rights, including the right to protest. In July 2015, Zelalem Kiberet, Tesfalem Waldyes, Asmamaw Hailegiorgis, Mahlet Fantahun and Edom Kassaye were released, conveniently preceding a visit to Ethiopia by United States President Barack Obama. In October, those still detained—Atnaf Berhane, Natnael Feleke, Befeqadu Hailu and Abel Wabela—were also released, but the current situation in Ethiopia leaves the country with little to celebrate. On December 30, five of the freed Zone 9 bloggers were summoned to court in response to an appeal against the dismissed charges. The result of the summons remains to be seen, but the appeal has already made clear the fragility of anyone’s innocence in Ethiopia today. Meanwhile, on December 19, news anchor Fikadu Mirkana of the state-run Oromia Radio and TV was arrested and on December 25, editor-in-chief Getachew Shiferaw of online newspaper Negere Ethiopia was arrested. Setting the scene are weeks of protests against a government plan to expand capital city Addis Ababa by displacing local farmers, protests which have left dozens dead and hundreds arrested. In short, it is neither safe to express opinions nor to report facts in Ethiopia today. To prevent and control a terrorist act, the National Intelligence and Security Service may, upon getting court warrant: a) intercept or conduct surveillance on the telephone, fax, radio, internet, electronic, postal and similar communications of a person suspected of terrorism; b) enter into any premise in secret to enforce the interception; or c) install or remove instruments enabling the interception. Information obtained through interception shall be kept in secret. Any communication service provider shall cooperate when requested by the National Intelligence and Security Service to conduct the interception. The National Intelligence and Security Services or the Police may gather information by surveillance in order to prevent and control acts of terrorism. The police may arrest without court warrant any person whom he reasonably suspects to have committed or is committing a terrorist act as provided under this Proclamation. The police may request from any government institution, official, bank or a private organization or an individual to be given information or evidence which he reasonably believes could assist to prevent or investigate terrorism cases. Anyone so requested shall have the duty to give the information or evidence. The following shall be admissible in court for terrorism cases: intelligence report prepared in relation to terrorism, even if the report does not disclose the source or the method it was gathered; hearsay or indirect evidences; digital or electronic evidences; evidences gathered through interception or surveillance or information obtained through interception conducted by foreign law enforcement bodies; and confession of a suspect of terrorism in writing, voice recording, video cassette or recorded in any mechanical or electronic device. The House of Peoples' Representatives shall have the power, upon submission by the government, to proscribe and de-proscribe an organization as terrorist organization. Where any organization is proscribed as terrorist in accordance with sub (1) and (2) of this Article, its legal personality shall cease. There is much that could be said about the Ethiopian government’s treatment of its journalists and citizens, but to do so would be to risk one’s life. 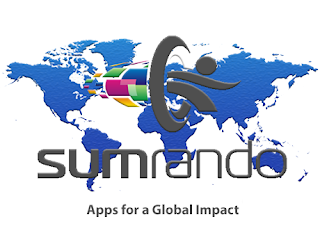 SumRando acknowledges the courage of those who have chosen to make their voices heard in the face of such oppression, as well as of those who operate under the radar, silently and surreptitiously doing what they know is right.